Great resource for fun and learning. 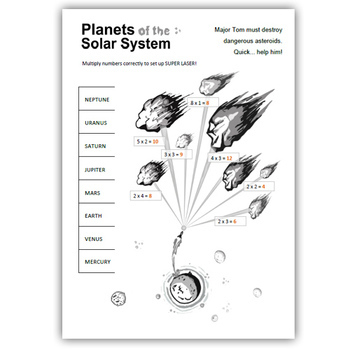 In a clever and efficient way combines Solar System Planets and Maths together. 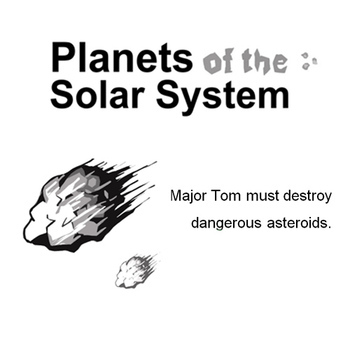 Students must help Major Tom to multiply and set up SUPER Laser to destroy dangerous asteroids. Asteroids are placed on different levels in regards to planet order. Worksheets are differentiated in 4 varieties (4 levels according to ability).